Crafted with pride in the USA, Our "I crossed the Golden Gate Bridge" T-Shirt is the perfect gift for the world traveler in your family. The blend of 50% Cotton and 50% Polyester makes for a shirt that is surprisingly soft and comfy, but will stand up to years of use. 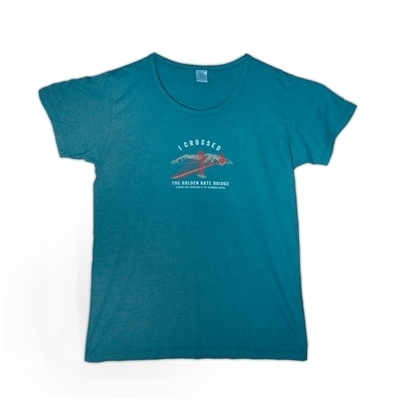 This shirt features an original graphic of the Golden Gate Bridge with the Marin headlands in the background.